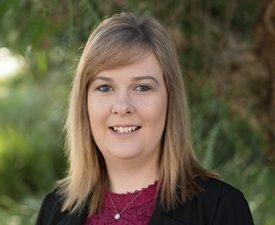 Janine Wilson came to Baker Love in 2015 as an Associate with 17 years specialising in commercial litigation and dispute resolution, in 2017 Janine become a Partner of Baker Love Lawyers. Janine has particular expertise in contractual and business disputes, building and construction matters, insolvency work and contested estates. Janine also has experience in representing parties in coronial inquiries and Royal Commission inquiries. In 2016, Janine became an Accredited Specialist in Dispute Resolution. Janine holds a national accreditation as a mediator from the Resolution Institute and is available to act as a mediator in many kinds of disputes. Janine is a strong supporter of exploring ways to resolve disputes without the need for litigation. 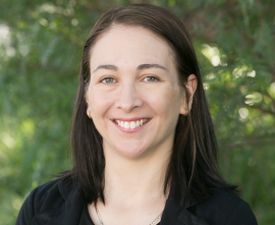 Graduating from the University of Newcastle in 1999, Janine completed her Masters of Law focusing on commercial law from the University of New South Wales in 2005 and is also now an accredited mediator with the National Resolution Institute. Janine worked in a major Sydney law firm for many years before returning to Newcastle with her family in 2013. Acting in various insolvency proceedings including unfair preferences, other director-related transactions and directors examinations. Acting for builders and contractors in respect of payment claims and payment schedules under the Building and Construction Industry Security of Payment Act together with extensive experience in liquidated damages and defects claims. Acting for home owners and builders in relation to claims made under the Home Building Act 1989 in the NSW Civil and Administrative Tribunal as well as other Courts. Acting in numerous cases regarding statutory demands and in particular, whether those demands should be set aside. Commercial contract disputes including seeking damages for breach of contract misleading and deceptive conduct and general debt recovery. Acting for financial institutions in recovery proceedings and repossession of land proceedings. Neighbourhood disputes and proceedings in the Land and Environment Court. Professional negligence claims against lawyers, accountants and valuers. Acting for parties involved in coronial inquests and Royal Commission inquiries. Fixed price residential building contracts – is the price really fixed? Misleading and deceptive conduct - a feature of poker machines? Confidentiality in Mediation: What is actually confidential?